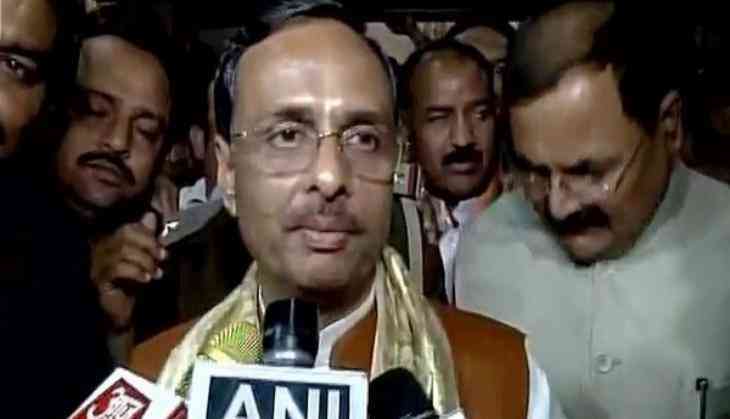 With Samajwadi Party (SP) leader Azam Khan wading into controversy with his remark over the recent Rampur molestation video, Uttar Pradesh Deputy Chief Minister Dinesh Sharma on 29 may said that upholding the dignity of women is of utmost importance for the Yogi Adityanath Government, adding that there is no place for anti-social elements that disrespects women. "As per Indian traditions, respecting women is of upmost priority and the current government has introduced laws for that. Due to our Anti-Romeo squad, anyone with untoward intentions must think twice. There is no place for anti-social elements that disrespect women," Sharma told ANI. He further said that the state government is responsible for the safety of the women and the Bharatiya Janata Party (BJP) Government is bound to carry out their duties. Earlier on 28 may, Azam Khan said that under the Chief Minister Yogi Adityanath-led government and the prevailing situation in the state, men should try and keep their women indoors. In a sardonic attack at the BJP dispensation, Khan said looking at the accelerating cases of crime in the state, ladies should avoid going to suspicious places. "There is nothing astonishing in the fact that incidents of murders, loot. Rapes are being reported under this government. After the Bulandshahr incident men should try and keep their women and ladies of the house indoor as much as possible. And women should also avoid going to suspicious or lone places," said Khan. His remark came after a video of two women being molested by a group of men in broad daylight in Uttar Pradesh's Rampur surfaced, which set the social media on fire.